The Smallest Town in New Hampshire and the First in the Nation to Vote. This is one time when size does not matter! 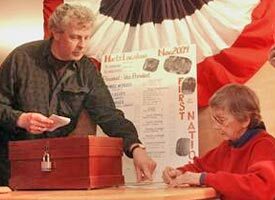 Every four years, the eyes of the nation turn to Hart’s Location, the smallest town in New Hampshire with a population of 43, as they cast their votes first for the Presidential primary and election. Check back for the results of the First in the Nation Presidential Primary in January or February of 2020. 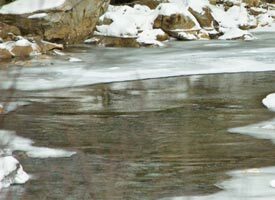 The tradition began in 1948 when the township was inhabited mostly by Maine Central Railroad workers and their families. Early voting at 7 am started to accommodate the railroad workers living in town. This was the most convenient time for the best voter turnout. The midnight voting practice started in 1952 and continued for many years until the number of media who came grew and the residents voted after the 1964 election to stop midnight voting. Read more about how and when Hart’s Location became first in the nation to vote. 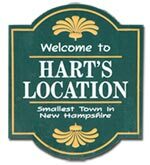 Located in Carroll County in the White Mountains Region of New Hampshire, Hart’s Location is only 11 miles long and 1.5 miles wide. 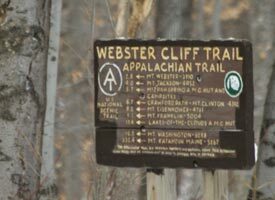 Much of this area lies within the 800,000+ acre White Mountain National Forest with steep mountains and sheer cliffs on both sides. The town is home to Crawford Notch State Park noted for its rugged wilderness beauty, crossed by the Appalachian Trail and provides access to Arethusa Falls, New Hampshire’s highest waterfall. Photo Credit: Conway Scenic Railroad Snow Train photo above © Kevin Burkholder, Steel Wheels Photography. Click to view voting results. How did this tiny town gain national recognition? Learn how and when this all began. Plan a visit to this pet-friendly destination and stay in a country inn, cottage, cabin or campground. Annual Report, Town Tax Maps, Building Permit & NH Energy Code Applications, Land Use Ordinances and more.